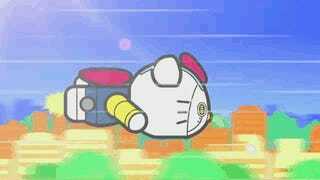 Hello Kitty is getting a "super robot" toy. Bandai released a trailer for said toy, and it includes a robo Kitty-chan anime. As previously mentioned, the figure is around 4-inches tall and has several different "modes," like "Underwater Mode" and "Flying Mode." Kitty-chan even has a "Rocket Punch" that shoots her fist-like missiles. Part of the Chogokin ("Super Alloy") line, the Hello Kitty super robot will go on sale this June in Japan.